You've decided you're at that stage in life where you'd rather be paying your own mortgage than someone else's. Or perhaps you're thinking about your long-term future, and owning a house is on your to-do list. It's time to jump into the property market and buy your first home. But how the heck do you do it? Assuming you don't have $600,000 sitting in your bank account, first things first: you need the cash for a loan deposit. In an ideal world, you'll need to save about 20 per cent of the property price, plus a bit more to cover any fees or extra costs like stamp duty (we'll get to that later, because you might get lucky there). Banks will still lend if you don't have 20 per cent, but you'll have to pay more in the long run. If you don't stump up 20 per cent, you'll end up paying lenders mortgage insurance (LMI). That's a cost added to your loan to protect the lender if you can't pay it off, and it can total thousands of dollars depending on the size of your deposit. Unfortunately, it doesn't protect you. If you have to pay LMI, there's a good chance you'll also have to pay a slightly higher interest rate. So, for a property worth $600,000, you'll need to have at least $120,000 in the bank to avoid LMI and get the best deal. Laura Higgins from ASIC's MoneySmart said when it comes to getting a loan, it's important to shop around for the best deal. "You should never rely on one source because saving half a percent on the interest rate can save you thousands of dollars over time," she said. "It can be really useful to use a finance or mortgage broker because they can help you to find the loan that suits you and your life stage, but again shop around." Make sure you understand the costs involved in using a broker and keep information and records about your dealings with them. Consumer advocacy group Choice recently said people who go through brokers tend to borrow more and place themselves at higher risk of debt or default. Ms Higgins said you need to balance your financial and lifestyle needs, which means you may need a savings buffer. "You need to consider the other ongoing costs you'll have to manage on top of your mortgage repayments — so you'll need insurance, there's council rates and utilities like water, electricity and gas, you may have extra transport costs or have essential renovations," she said. If the bank says you can borrow $600,000, that doesn't mean you can actually afford it. "It's really important to understand what you can afford, which means understanding what your repayments look like if there is a change in interest rates," Ms Higgins said. "All the additional costs around owning a home … will be over and above what you've borrowed for your home loan and you absolutely need to take that into account in your budget." First you'll get pre-approval, which will give you an idea of how much you have to play with. Once you think you've found a place, make sure you contact the lender. If it's a private sale, you can make an offer on a condition of finance, but you can't do that at auction. Searching for the right place can be exhausting, and sometimes demoralising if you keep missing out. Buyers advocate Amy Mylius, from Cate Bakos Property, said it's important to familiarise yourself with the market in your area and an idea. 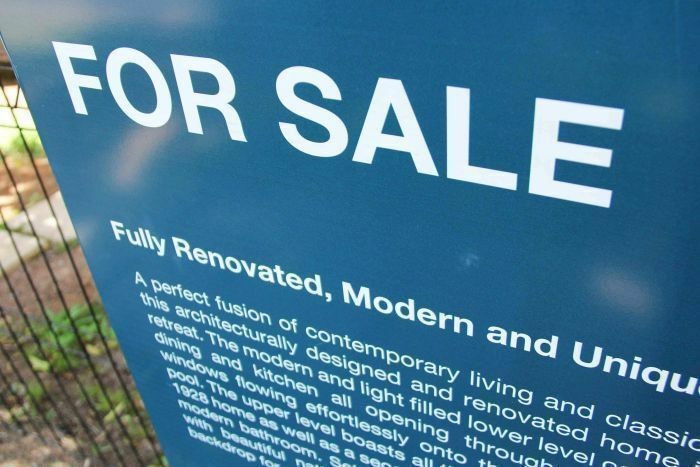 Rely on your own research and not what the real estate agents tell you. "A lot of first home buyers have really grand expectations and their expectations may not match up to their budget, and where they want to live may not match where they can afford to live," she said. Ms Mylius said most of the time first home buyers can't compromise on their budget, but they can in other areas. "Location is the first thing people can start considering compromising on, and that usually means moving further out from the city, perhaps going further away from public transport," she said. "You might decide you'd be happy with a townhouse or subdivided block, you might need to start looking at apartments if you're not willing to compromise on location." Buy something less modern, or even a renovation job, is another option but Ms Mylius said it's important to remember renovations can often cost more than you think. Maybe start looking for two bedrooms instead of three. "A lot of people want a property that's, firstly, a home, but also a really good asset. Sometimes that's doable, sometimes it's not. If someone needs a home with a really big backyard or block of land, they may need to go a long way out to get that," she advised. "We might say that's not the best use of money as an investment but if it's non-negotiable then it's still going to be a home for them." If you're looking at smaller places, consider growth prospects like desirability, distance to the CBD and public transport, and making sure it has good owner-occupier appeal. Before you make an offer, whether it's private sale or auction, look over the contracts, which you get from the agent. It's a good idea to get them checked by a legal expert or conveyancer to make sure they're sound, because sometimes the devil is in the detail. There may be restrictions on renovations, missing important documents, or other things you don't want to discover after you buy. Lew Toop, from Toop and Toop Real Estate, said it's a good idea to go along and watch a few auctions first to get an idea of what goes on. 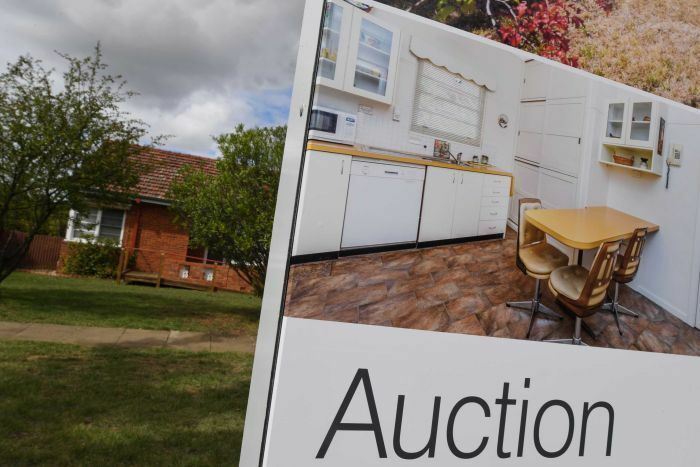 "The most important thing is to make sure you've got your finances organised because buying at auction means you don't have the benefit of a cooling off period or conditions in a contract," he said. Mr Toop recommended getting someone independent to look through the home and make an assessment on any works or repairs it may need. "You need to know there's not going to be any great surprise, so you buy the property, settle the property, then find there's major works needed in the roof," he said. It's critical you don't get carried away and swept up in the run of an auction. "Often taking someone else with you when you bid can be a way to make sure you don't get overexcited or overemotional on the actual day," Mr Toop said. "It's good to have someone there who's level-headed and not emotionally connected so they can remind you you're over your bidding limit." You'll need your loan unconditionally approved, not just pre-approved. So let your broker or lender know you're planning to bid. You'll need a deposit for the auction before you get the loan, so your mortgage deposit may end up being less that you thought. Keep that in mind. 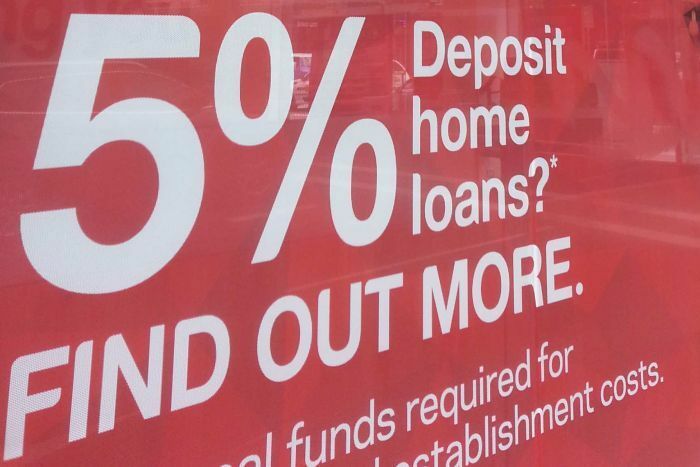 Generally speaking, you will need to make a 10 per cent deposit on the day, but check with the agent. Because most people don't have chequebooks and instead move their money online, and auctions are held on weekends, these days you can often make a flat deposit on the Saturday — like $10,000 — and then make up the difference on the 10 per cent the next business day. In South Australia and Queensland you need to register to bid with the auctioneer or agent on the day. You can sometimes make an offer prior to the auction, so again, ask the agent if that's an option. Unlike an auction, a private sale allows you to make a formal offer in writing which includes conditions like subject to finance or building inspection. "A private sale allows you more time to think about what you're doing," Mr Toop said. "It gives you the option of having inspections and looking at finances after you've actually bought the property because you've got a cooling off period." But unfortunately, it's harder to know where you stand. "An auction is very transparent because when you're standing there next to the auctioneer you can see who else is there to compete with, whereas a private sale you're reliant on what the agent is telling you, and you're unaware if there are any other interested parties or how many there might be," Mr Toop said. For the general homebuyer, when you purchase a property you also need to pay stamp duty, which is a tax scaled to the value of the property that ends up in state government coffers. There are calculators online that can estimate how much you'll need to pay. But a number of states have now acknowledged it's really hard for first home buyers to enter the market, and have introduced concessions. Some have scrapped stamp duty for first-time buyers altogether for homes under a certain price. There are also one-off grants available, often around $10,000 to $20,000. Once you've bought a property you need to negotiate a settlement period, which is essentially how many days between the sale and getting the keys. Sometimes the seller will have a settlement period as part of the sale conditions, but other times you can negotiate. They're usually between 30 and 90 days. On the day of settlement you'll be required to pay the property price in full. This should be the easy bit, but it's usually the most annoying. But at least you're a real life homeowner. Congrats!